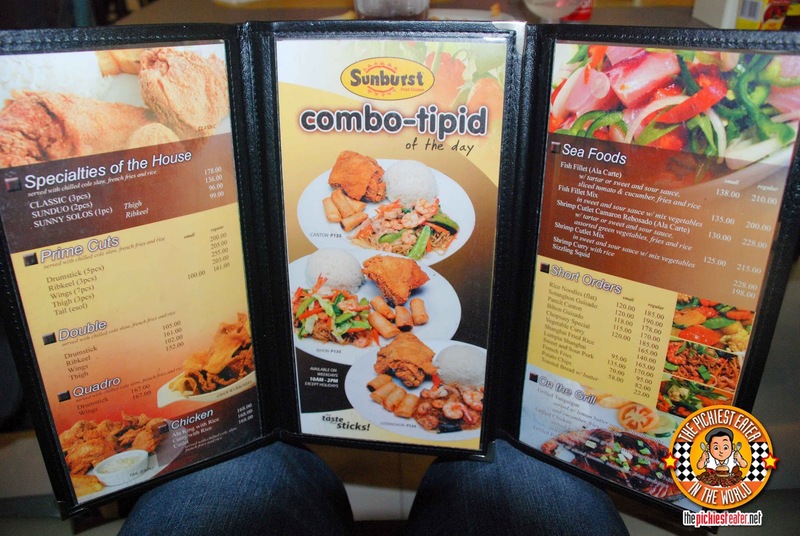 THE PICKIEST EATER IN THE WORLD: QUICK PICK: SUNBURST CHICKEN.. CHICK N' CRACKER'S! QUICK PICK: SUNBURST CHICKEN.. CHICK N' CRACKER'S! I've mentioned time and time again that I lived in Cebu during the late 80's to the early 90's.. Way before it became the blooming metropolis that it is now. Back then, TV shows were recorded from Manila, and aired one week later on local stations. 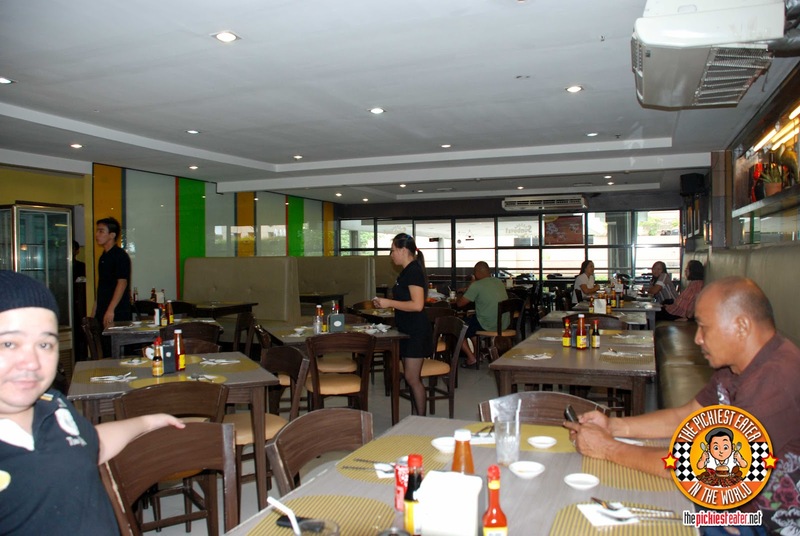 During that time, Cebu didn't have Jollibee.. It had "Orange Brutus". It didn't have McDonald's, it had "MacJoy". 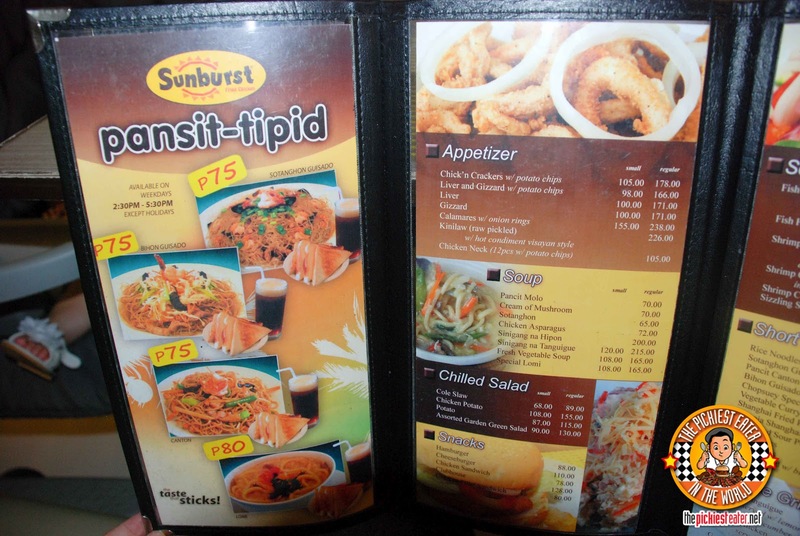 Instead of Max's Chicken, we had "Mothers Chicken"..
And in lieu of Kentucky Fried Chicken, we had Sunburst. And I won't lie to you, Sunburst Chicken is quite good. It's juicy, crispy, and very tasty, but definitely notches below the finger licking good creations of the good Colonel. However, there's one thing on their menu that KFC does not.. 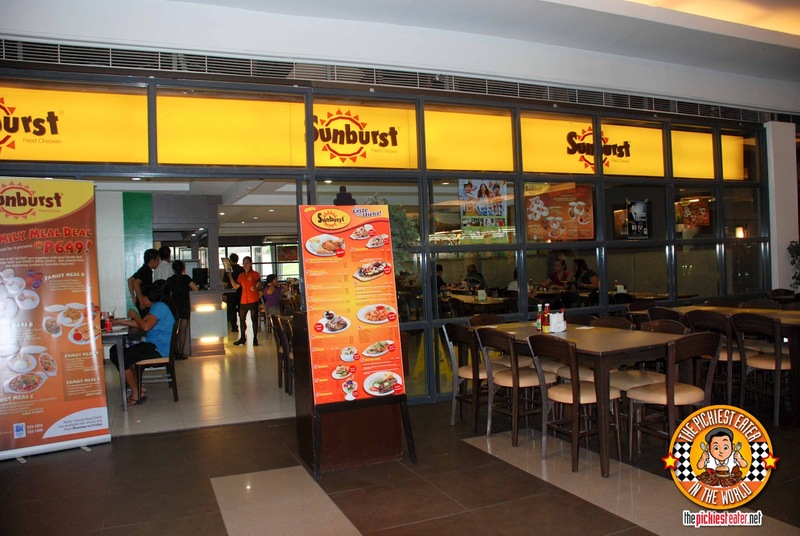 The name of Sunburst has become a legend around Cebu and some areas in the Visayas. from a small province based family restaurant, Sunburst has exploded into a legitimate fried chicken force to be reckoned with, with branches scattered all over the metro. 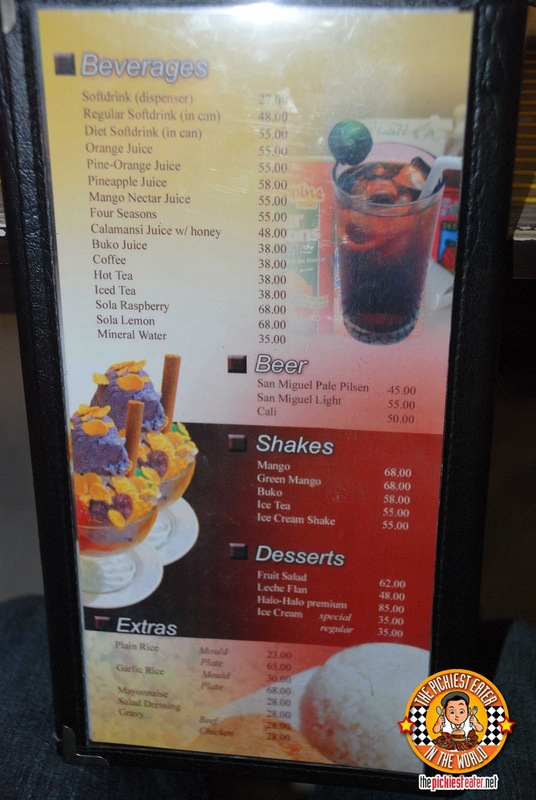 And if you ask any Cebuano whats the best thing on their menu, the odds are they'd give you one resounding answer.. The Chick N' Crackers (P105 Small, P178 for regular). Back in my day, it used to be called "Chicken Chicharon".. But come to think of it, I don' t know if that was the actual name or if thats what my yaya would call it. Regardless, the name seemed appropriate so it stuck. Truth be told, they could have called it "Deep Fried Carpenters Rubber Slippers" and as long as it tasted this good, I still would have eit (I'm glad they didn't call it that). Sunburst's Chick N' Crackers is beautiful slices of chicken skin that is patted down unto their trademark bread coating, and deep fried into golden perfection. 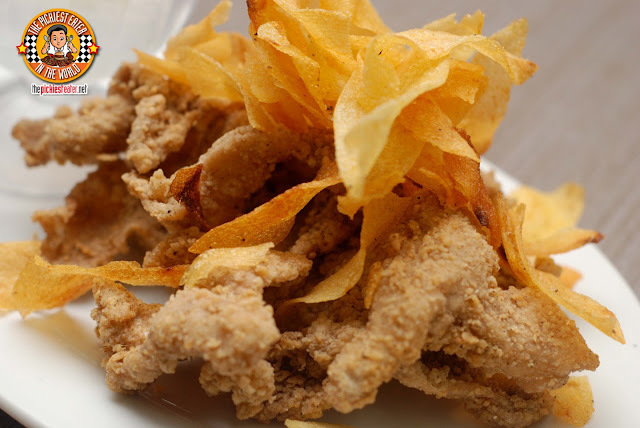 The chicken skin is topped off with Sunbursts own hand cut Potato Chips that are also cooked to a wonderful crisp, and salted just right. 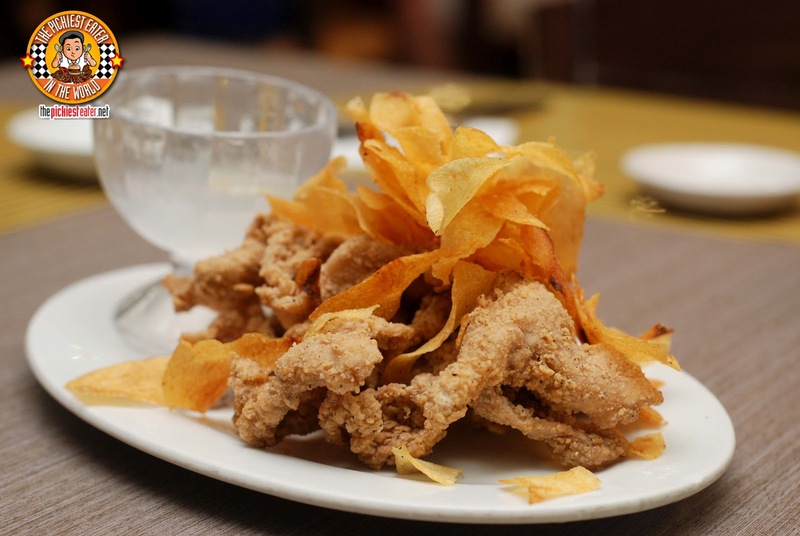 For me, what makes this different from Fried chicken skin ive tasted in the past, is how you can still actually feel the texture of the skin with every bite, as opposed to it being strips of fried flour with a small patch of skin. The bread coating captures a good old fashioned Southern Fried Chicken flavor, with a subtle, yet distinct pepperiness. another remarkable note about The Chick N' Crackers, is how you would expect it tobe disgustingly greasy and oily.. but you'd be surprised to find out that its not. 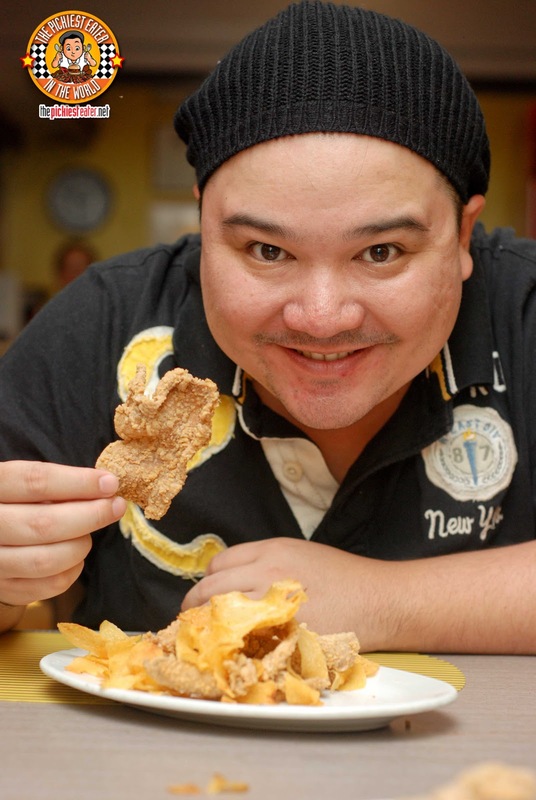 Dont get me wrong.. by no means am I saying its a healthy dish (Its deep fried chicken skin for god's sake! ), but it wont leave a pool of oil on your plate either. I was honestly contemplating eating this with a side of rice! Funnily enough, This adaptation of Southern Fried Chicken though, doesn't come with any form of gravy. Instead it had a side of vinegar, which I found a little odd. But in hindsight, I realize that the Chick N' Crackers is probably a popular Pulutan dish as well, so it made perfect sense. I wasn't able to order a full on meal because I had just from a huge lunch just an hour or so earlier, but when I passed by Sunburst in SM, I just could resist ordering a plate of Chick N' Crackers! There are several Branches of Sunburst around Cebu, But I went to the one in SM Cebu, and a day later, I went to the one along A.F. Fortuna. There's also a branch along Mango Avenue. All I can say is that Lynne must truly love you if she agreed.. Cuz If I tried that same condition with Rina, Baby Rain might not have ever been born! I didn't know there used to be a MOA branch! If I did.. between you and me, they might have survived! I haven't tried Sunburst yet, but I regularly make extra-crunchy breaded chicken skin for my son (chicken skin is so cheap at PhP50/kilo at SM! Yay!). The trick to keeping it as greaseless as possible is in managing the heat and amount of oil you use. Prior to breading, I also scrape off the inner membrane under the skin and avoid the high-cholesterol fat patches (the ones that look like pink and white clouds). You're very much welcome, Richie! My son prefers breading mix by Pamersa Foods (garlic variant), because Crispy Fry tends to be saltier. I did try almost every local breading brand in the market, only to find out that they tend to be too salty for chicken skin, because the skin-to-breading ratio is almost equal. I'm sure she'd love to try that, Midge! Thank you for the recco! haha you're funny Justinne! I'm pretty sure the cholesterol level of the Chick N' Chips is nothing compared to that of their Crispy Pata! hehe but Dang I wish I tried that too..
You know, i only thought of it when I got back to Manila, but I wish we met up and went on a food trip together when I was at Cebu! So I could have had you as a guest on my blog hehe.. I was born and live way back in 80's and 90's in Cebu with my family before coming here in Manila; my mother would buy as a sunburst chicken n' cracker with my younger sister were so very happy and excited in eating it and it makes as a memorable experience in our lives. when my family decided to transfer here in Manila i was so sad but thank god there is one sunburst branch but it went bankrupt because there is already Jollibee and cannot compete in the price. But when i went for a vacation in dipolog, zamboanga del norte i was so very surprise to see that that there is one sunburst branch that makes my blood, body and heart burst for joy on that moment because i still can continue my memorable experience when i eat chicken n' cracker. *high five* anonymous! I feel the same way! awesome! thank you for the heads up Odelia! 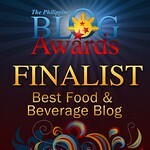 I suggest Casa Verde, A Cafe, Ipar's, Zubuchon and my all time fave.. Harbor City! !